Sarah Nader- snader@shawmedia.com Jacobs' Emily Borg tags out Marian Central's Maddie Peters during the fifth inning of Wednesday's game in Algonquin April 8, 2015. Jacobs defeated Marian Central, 5-2. 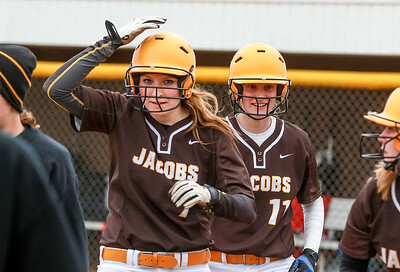 Sarah Nader- snader@shawmedia.com Jacobs' Teaghan Richman (left) celebrates after hitting a home run during the fourth inning of Wednesday's game against Marian Central April 8, 2015. 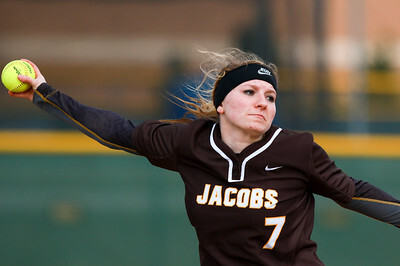 Jacobs defeated Marian Central, 5-2. 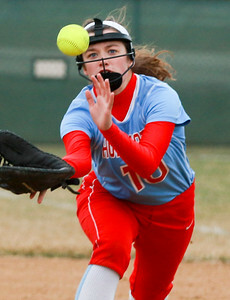 Sarah Nader- snader@shawmedia.com Marian Central's Ryan Klinger catches a ball during the fifth inning of Wednesday's game against Jacobs April 8, 2015. Jacobs defeated Marian Central, 5-2. 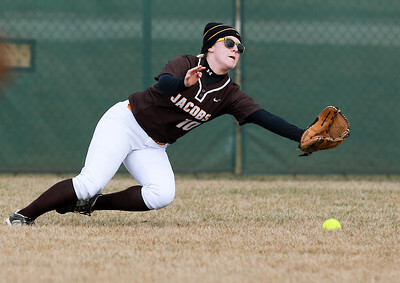 Sarah Nader- snader@shawmedia.com Jacobs' Katie Borchert dives for a ball during the first inning of Wednesday's game against Marian Central April 8, 2015. 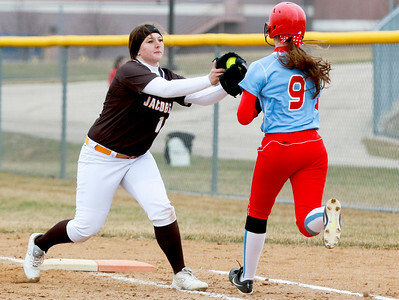 Jacobs defeated Marian Central, 5-2. 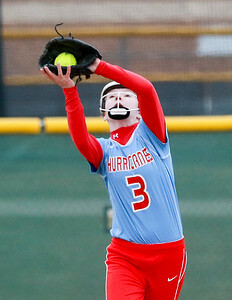 Sarah Nader- snader@shawmedia.com Marian Central's Emily Miller catches a ball during the third inning of Wednesday's game against Jacobs April 8, 2015. Jacobs defeated Marian Central, 5-2. Sarah Nader- snader@shawmedia.com Marian Central's Grace Shukis pitches during Wednesday's game against Jacobs April 8, 2015. Jacobs defeated Marian Central, 5-2. Sarah Nader- snader@shawmedia.com Jacobs' Teaghan Richman pitches during Wednesday's game against Marian Central April 8, 2015. Jacobs defeated Marian Central, 5-2. 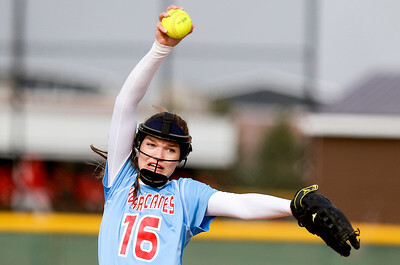 Marian Central's Grace Shukis pitches during Wednesday's game against Jacobs April 8, 2015. Jacobs defeated Marian Central, 5-2.